A few months ago, I picked up two things I was really needed that were missing in my makeup collection: a natural eyeshadow primer and a translucent finishing powder with sunscreen. 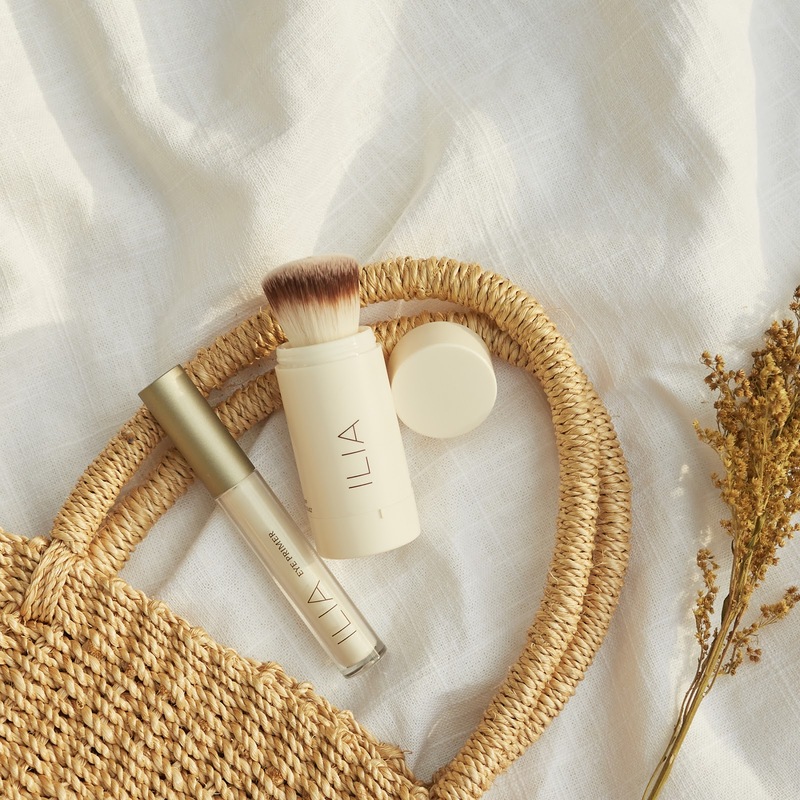 I did not fulfill my search for an exceptional, natural, long-lasting eyeshadow primer so I decided to give the Ilia Eye Primer a try. 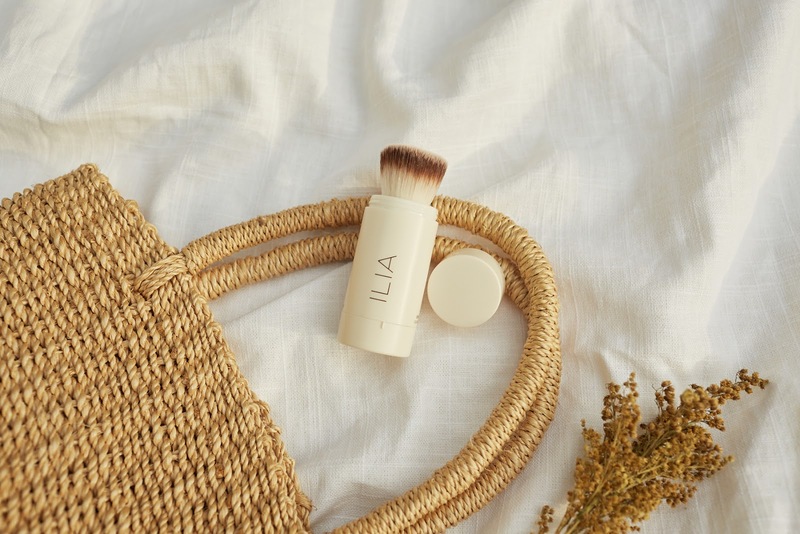 I also picked up the travel-friendly Ilia Moondance SPF 20 Powder. I gave both a good test so continue below for the full review! This eye primer claims to instantly brighten, intensify color, hydrate and depuff with a feather-light formula that won't crease. It comes in a lip-gloss-looking tube and can be applied directly onto the lids with the doe-foot applicator. Although the eye primer looks like a shimmery ivory shade, it leaves a clear, semi-matte finish without a trace of shimmer once applied and blended. Retails for $24. I have extremely oily eyelids and watery eyes so it's a challenge to prevent my eyeshadows from creasing and my eyeliner from fading and smudging. 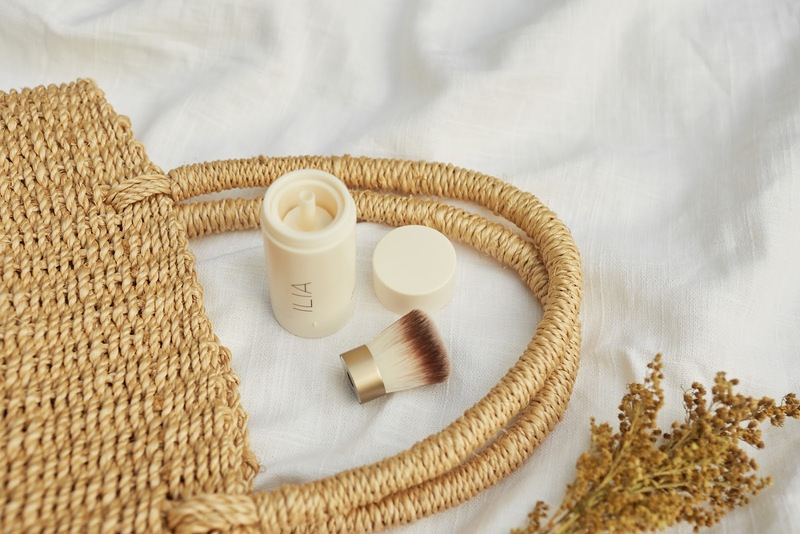 I love that it's made beneficial key ingredients like skin-soothing aloe vera, nourishing rosehip and olive oils, depuffing arnica, and calming chamomile. This portable, travel-friendly powder protects the skin from harmful UV rays and controls excess shine. It claims to leave a hint of luminosity to the skin, as well. The compact powder comes attached with a super soft, magnetic brush to dispense and blend the powder. There's also an option to 'open', 'close', and 'buff' which makes it convenient to touch up on the go. Retails for $34. Some notable ingredients include nourishing sunflower oil, skin cell-protecting rosemary, antibacterial and skin-soothing thyme, skin-soothing aloe vera and antioxidant-rich hibiscus flower. I'm impressed with all of these ingredients because most finishing powders aren't formulated with additional skin-enhancing botanics. At the end of the day, the question comes down to this: would I repurchase these products? It's hard to find a product that does it all but I would gladly repurchase both the Eye Primer and Moondance SPF 20 Powder. Have you tried any of these? I'd love to hear how they work for you! P.S. I hope you all had a great Thanksgiving! I'm really grateful for everything and everyone—including you. I totally understand how it's like to have watery eyes (I have them too). Finding products to combat those issues can be a challenge. I'm glad you found 2 products that you love and would repurchase! Thanks for the review too!